As kids get older it is fun to try out cool new experiences as a family. As a kid, growing up close to New York City, my family loved attending live theater events on Broadway. 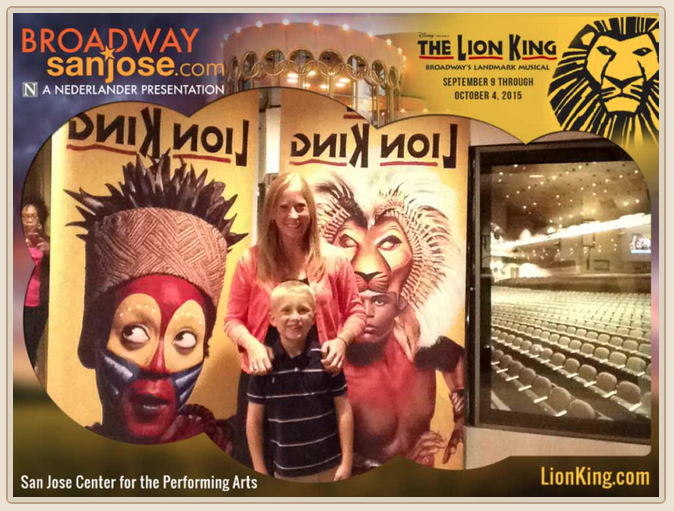 I am excited to share Broadway theater experiences with my kids along with the excitement of other live events like concerts, the circus, and professional baseball games. Attending a live event takes preparation and some planning ahead. 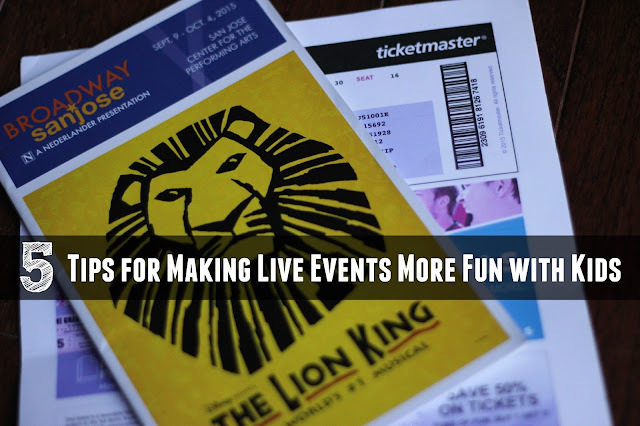 Today I'm partnering with Ticketmaster to share five ways that we make live events more fun with kids. Last Thursday night my son and I attended The Lion King Broadway Touring production at the San Jose Center for the Performing Arts. We used the five tips below to make the most of our evening out together. 1. 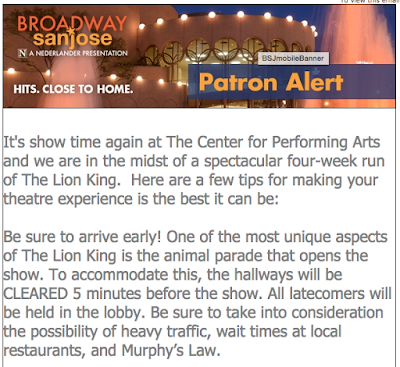 Read about the performance and location ahead of time and arrive early! We always arrive early to an event so that we make time for bathroom breaks and exploring the building and checking out any cool features before the show starts. We also like to allow plenty of time for parking so that we aren't stressed out and rushing kids. Our Ticketmaster email reminder for The Lion King even told us some reasons why to arrive early and let us know about food offerings in and around the theater along with a super cute photo booth set up for the event. We easily printed our tickets at home using the Print-at-Home option so that we didn't have to wait in any lines when we arrived at the theater. Yay! My son had the best time taking pictures with me in the photo booth before the performance started! I think the photo booth was the highlight of his night. We never would've known about it if we hadn't read our email. Before performances and live events with kids we always like to make sure everyone is well-fed and hydrated. 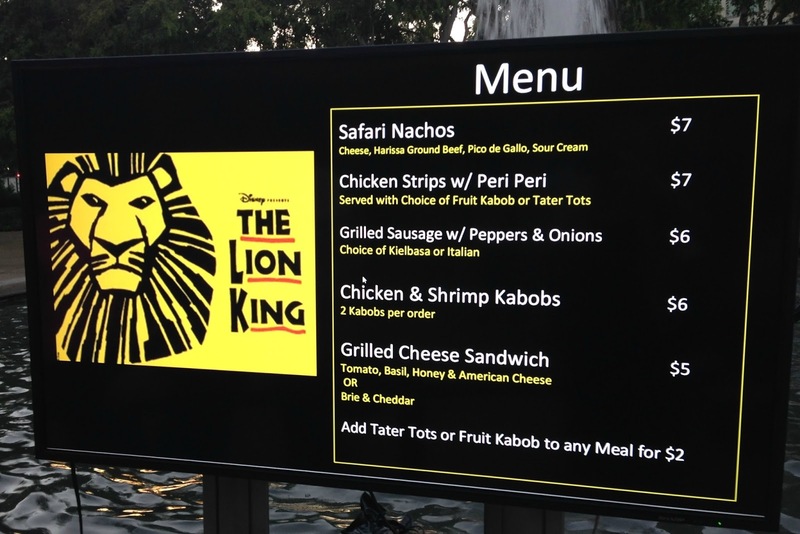 If we are able to bring food into an event that is even better! Kids complaining that they are hungry makes for a really lame night out! On Thursday we arrived at The Lion King early and had fun checking out the Lion King themed food options for dinner at the theater. The San Jose Center for the Performing Arts also has concessions so we were able to grab a fresh baked cookie during intermission and enjoy it while we watched the second act of the show. It is amazing how a little treat can make an event with kids a little bit more fun and memorable. Before AND during live events we like to give kids an opportunity to get an energy break. Typically live events, especially theater performances, require kids to sit still for a certain period of time and not get up, so we like to get any wiggles out before the show starts. We usually like to park our car a little further away from the event so that kids get a lot of their energy out while we are walking to the event. We also wander around outside and inside the building and explore a bit before the event gets started to help kids get tired out. We take advantage of intermission to climb stairs and wander up and down ramps and do little exercises to help kids get the wiggles out. We also try to avoid sitting down until the event is just about to start. Before The Lion King we just stood nearby our seats and took photos and turned around and around until the animal parade got started. This is especially critical if you have a child with you that is potty training or tends to need to go to the bathroom after an hour. I love to have a quick escape route from a live event just in case something comes up and a kid needs a drink or there is so sort of problem. It is much better to sit in an aisle seat than have to climb across a whole row during the show! One thing that I love about Ticketmaster is that they guarantee the seat you buy is the seat you get. Other sites may offer a money back guarantee or "comparable" seats if something goes wrong. But with Ticketmaster, even tickets transferred or resold to you are 100% verified and issued in your name so they can't be counterfeited. Knowing I will get the seat I picked always makes me a little less stressed out when attending live events with kids! 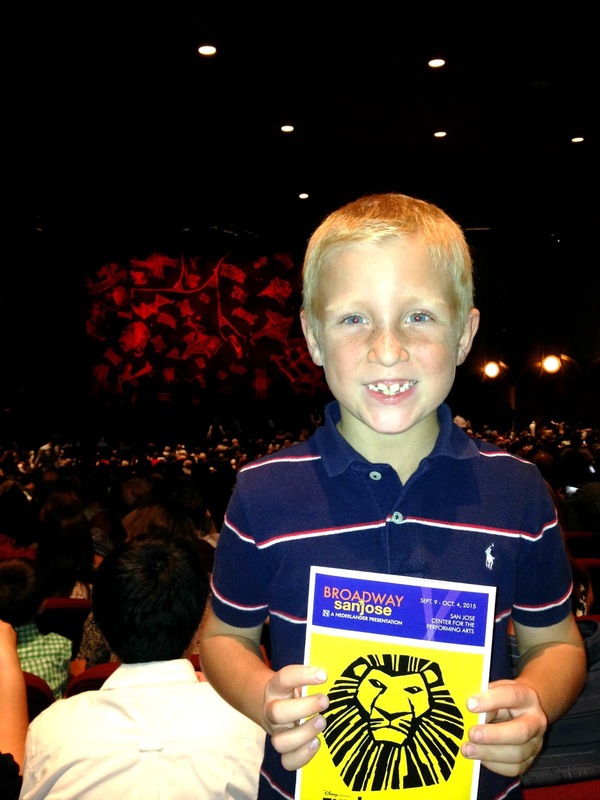 Attending a Broadway performance or a concert is a big deal and I always like to set my kids up for success! One way to do that is by practicing how to attend a theater performance at home through role-play and pretend play scenarios! Setting up a play theater at your house and having kids take turns being the audience and the performers can be a good way for you to teach kids about what being an audience member looks like. 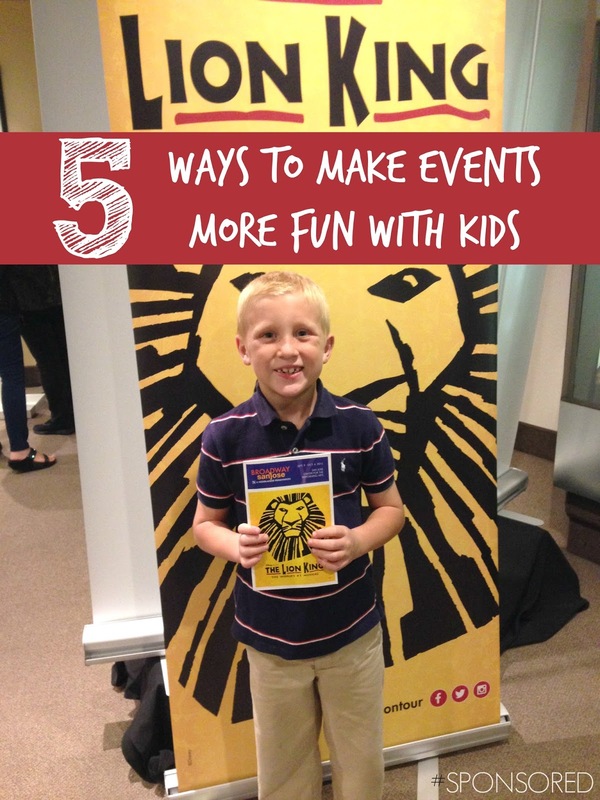 Attending short local children's theater productions or school plays can also be a simple way to start preparing kids for longer theatrical productions, shows, and concerts. 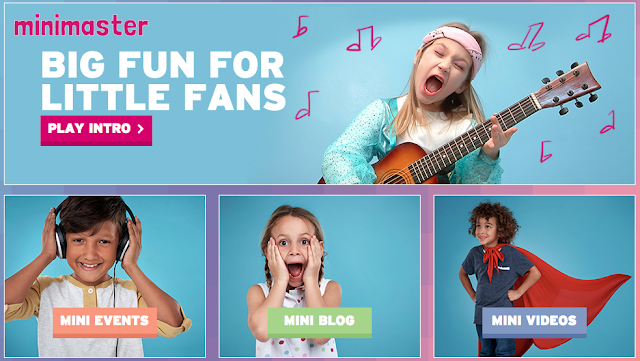 You can discover family friendly events near you using the Minimaster page, which shares big fun activities for little fans. 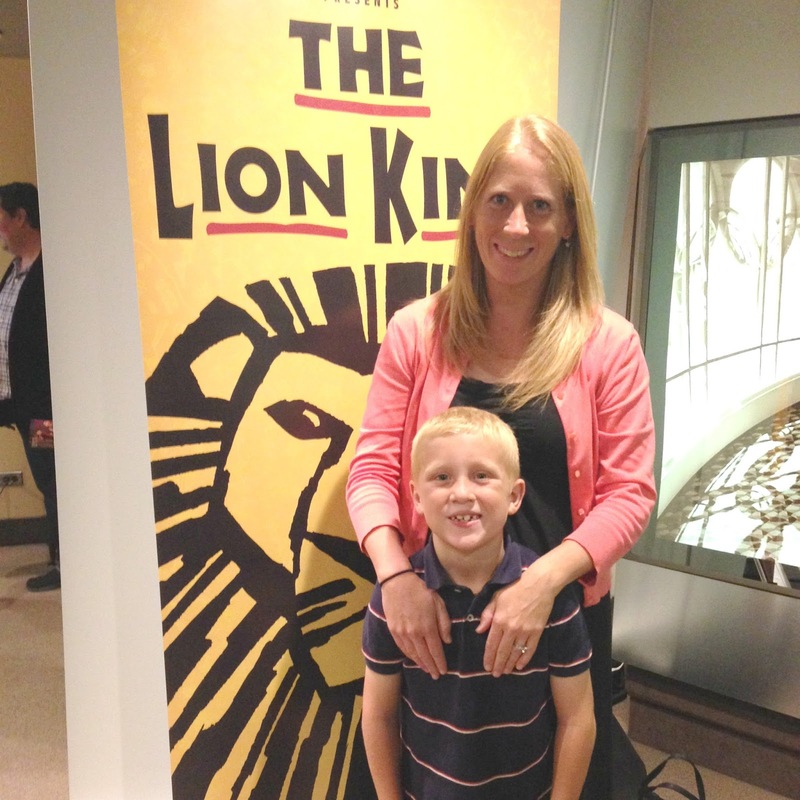 Have you taken your kids to any live events? Do you have any tips that help the trip go more smoothly with kids? Do you see any Minimaster events near you that your kids would enjoy? This post is sponsored by Ticketmaster. All opinions are mine.